Be Broadband has announced what it is describing as a 'pioneering' line bonding service which could boost customers' broadband speeds up to 44Mbps download and 5Mbps upload. 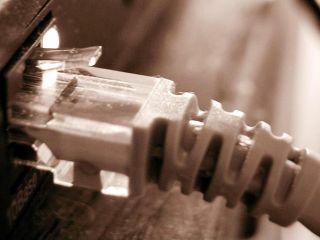 The UK ISP believes that the line bonding technology could mean that those people within 1KM of the exchange could find their rate boosted from around 20Mbps right up to more than 40Mbps. Alex Gowar, Head of Marketing for Be Broadband, said: "As only half of the UK population have access to fibre currently, Be's Line Bonding product is a real viable alternative. "But Line Bonding is not only great for Be customers who want fibre speeds, but it could also be life changing for the millions of UK customers who suffer slower speeds because they live a long way from the exchange. "It's all part of our 'Real World Speed' proposition and our desire to help customers achieve the fastest speeds possible that their line can handle." There is a catch, however, and that is the price - monthly rental for the line bonding service is £65 per month plus setup costs £85 and you will need two phone lines coming into their building from the same exchange.